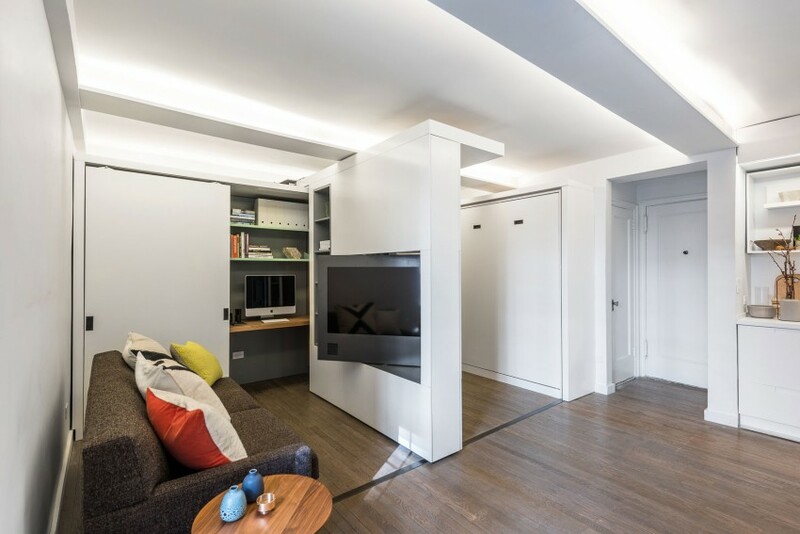 Anyone who has ever lived in a studio apartment has probably wished they could somehow hide their bed, clothing and other personal items from view to free up space when guests are visiting. 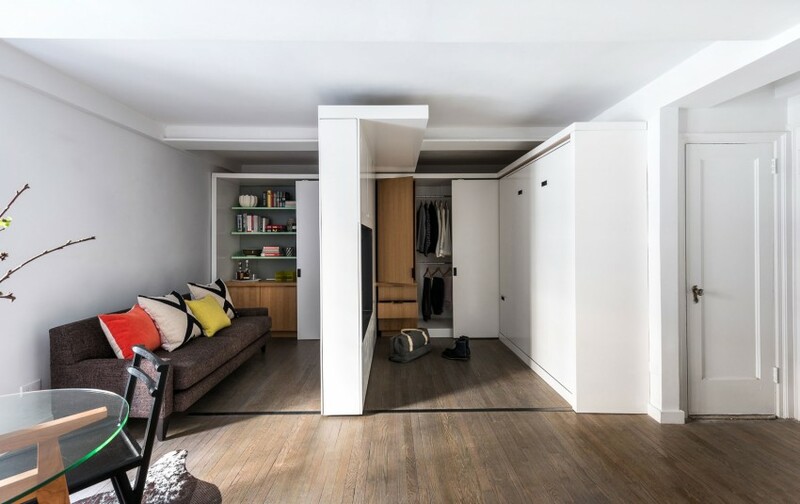 If you’re a minimalist with the right kind of transforming and multi-purpose furniture, perhaps you could make it work, shifting the purpose of your space from one to another without having to actually move anything out of your apartment. But a few built-in items could achieve the same effect with less effort. 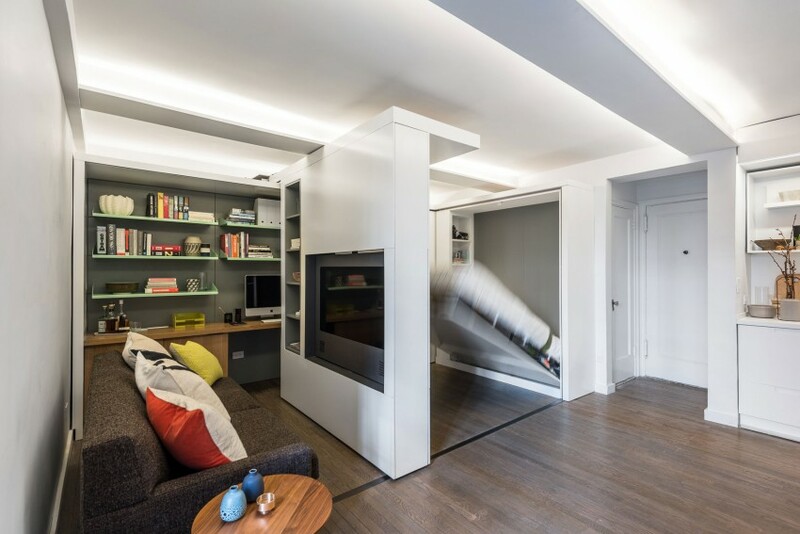 A movable wall, a murphy bed and a series of sliding panels transform one small space for five different uses in this ingeniously renovated micro apartment in New York City. 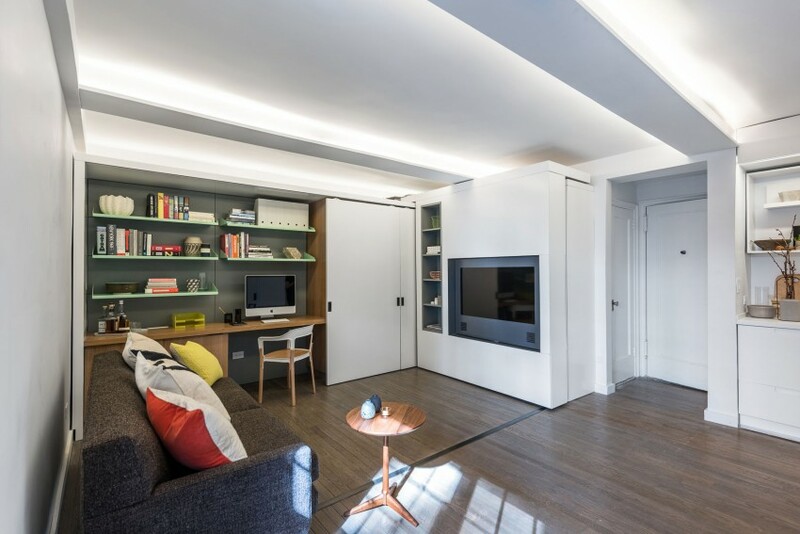 Architecture firm MKCA ensures that activities like lounging, entertaining, sleeping and primping can all be spaciously accommodated, so long as you only need to do one of them at a time. 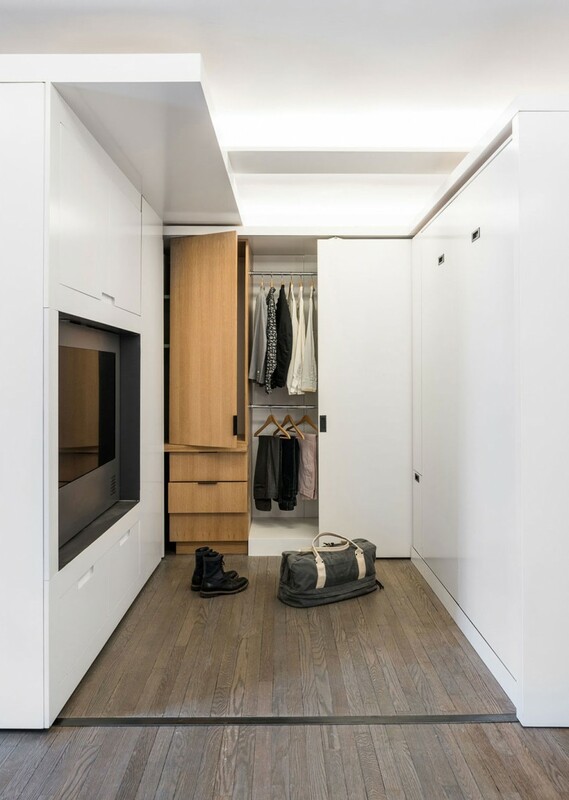 Slide the portable volume away from the wall to reveal a dressing area with a closet, mirror and built-in dresser drawers. 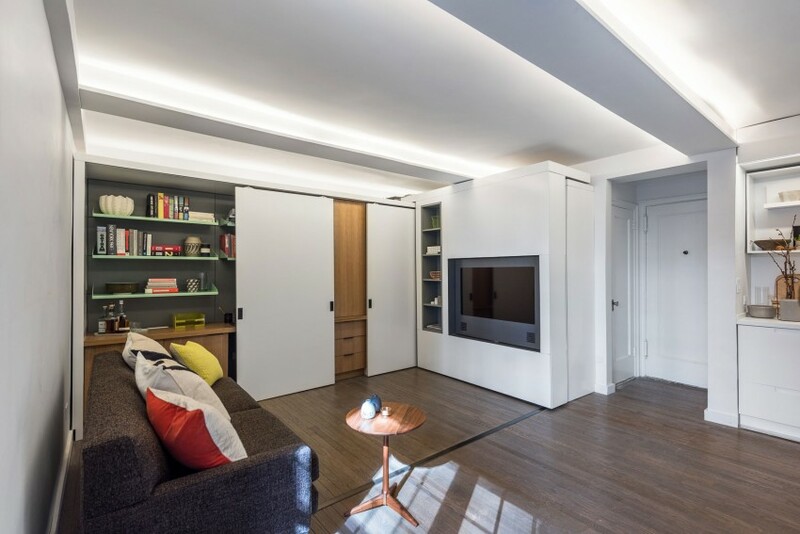 Once it’s fully extended, you can pull down the murphy bed for a cozy little bedroom. 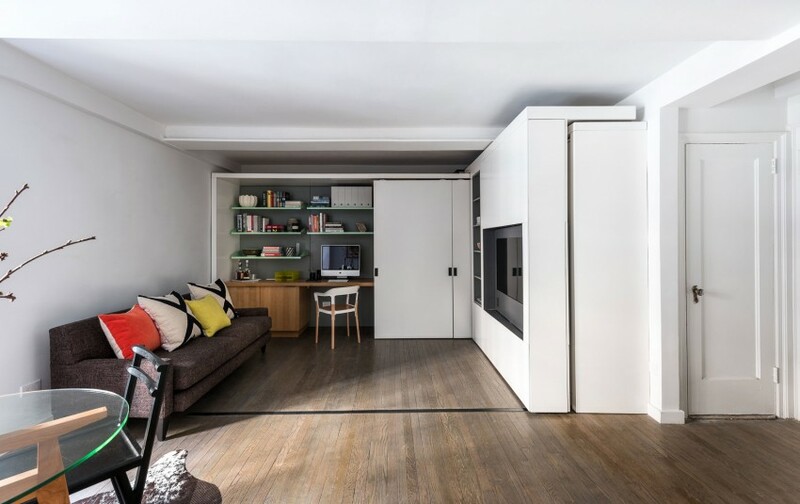 When it’s all closed up, the space on the other side can function as a living room or office, with the desk and even more storage tucked behind a series of doors to reduce clutter. The sliding component contains audio and visual hardware, so you can watch television and enjoy other media from either side. 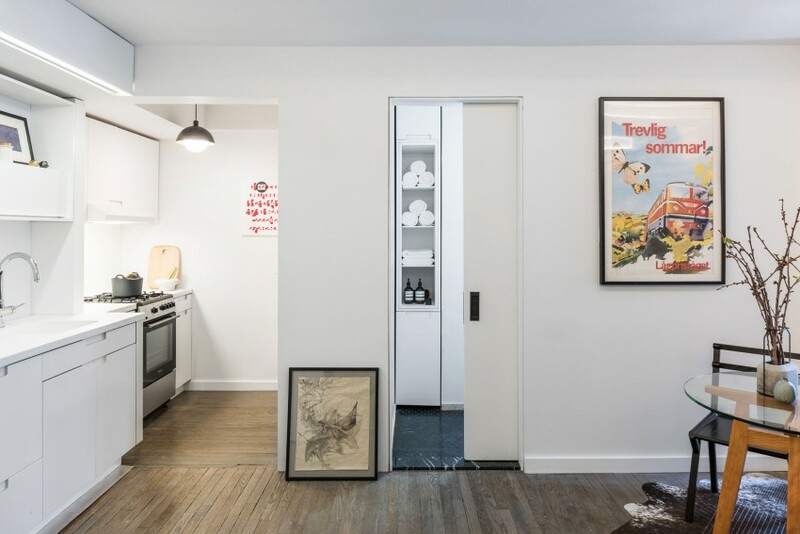 An adjacent space is freed up for dining and other activities, while the kitchen and bathroom are tucked away on the other end of the studio.